The old saying “a picture is worth a thousand words” is completely true. Research has shown that 93 percent of human communication is nonverbal. Your proposals will benefit greatly if you correctly infuse them with graphics. After all, in the cosmic scheme of things, people’s attraction to images over text makes sense, because text is a relatively new innovation, but depictions have existed since prehistory. Images aren’t just more attractive to your audience. Data from the 3M Corporation suggests that people process images as much as 60,000 times faster than text. This is a fact that can be used to your advantage when drafting proposals. By carefully implementing images in your proposals, you not only help attract your reader’s attention, you also condense a valuable, actionable message down to a more succinct form. Let’s take a look (so to speak) at how images can be put to work in your proposals for better results. Humans use visual imagery to remember things. In other words: we think in pictures. When it comes to communicating, written text at best only aspires to achieve what an image can do in an instant. Think of the way soup is depicted on soup cans. The image of mildly steaming, wholesome looking-soups drive us to buy as we look over the can in the store. Often, though, the real thing looks nothing like the picture, sitting in our plain white bowls and flanked by saltines rather like unsavory institutional goulash. Still, the image on the can is evocative of memories of mother’s homemade creations and cold winter days warmed by healthful bits of sausage, corn, and veggies poured from a simmering pot. In this example, a single image conveys not only what is (supposedly) in the can, but also connects the consumer with a deep-rooted impetus to buy the product. Only an effective image can achieve this. In much the same way that supermarket consumers don’t want to sit around and read a lengthy block of text affixed to the side of a soup can, your customers don’t want to read through massive amounts of text where an image would suffice. This is the driving force in deciding when and what image to use: how can a visual benefit my customer? The best subject matter to visualize is either a) of some obvious benefit to the viewe or b) an opportunity to instruct the viewer to achieve an actionable result. The images that we view have a way of shaping our mindsets, and our behaviors. For example, if a person is confronted with any big, red circle with a line through it, that person is likely to avoid whatever is depicted under that shape. See how effective an image can be? Images can transcend borders, languages, and cultures. 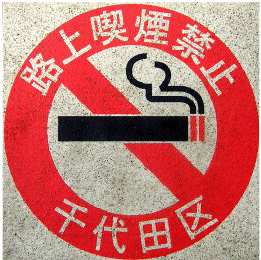 The above is an example of instructing the viewer to achieve an actionable result: Don’t smoke! What types of visuals can I use? Different graphics can serve different purposes, and striking a balance of more than one will keep graphic content fresh and non-repetitive in your proposals. Examples – if you are a designer or do anything visual, why wouldn’t you integrate samples of your work throughout your proposal? Prove it, don’t just sell it. Pictures – the baseline of images is the picture. As in our example above, a good picture can tell the whole story. You are simply challenged with finding an image that accurately tells your viewer how they serve to benefit from your proposal, or what you would like them to do. And if you are selling a service, why wouldn’t you put your smiling face in your executive summary? Graphs – data is much more palatable when related into graphs. Data can become little more than just a bunch of numbers if not put into context in a graph. Illustrations – if you are proposing a new product or procedure that doesn’t exist in the real world, an illustration is a great way to provide a visual reference point for your audience, allowing them to better understand exactly what you are proposing. Flowcharts – another great way to showcase a process or sequence of events is with a visual flowchart. Flowcharts can replace long text descriptions of complex processes, thus helping you retain your reader’s attention. Tables – tables make use of both visual borders and text, and can come in handy whenever you need to explain and compare disparate qualified metrics against each other. Take advantage of Quote Roller’s new pricing table to provide different options that let your client change around, looking at updated services and prices immediately. Visual content is a great tool, but problems can arise when the context of the image is unclear. For this reason, you should strive to make sure you are using high-res images at the right place in your proposal. The first thing to do is to use some text to set up, or otherwise introduce, visual content to the reader. This allows the reader to connect the preceding written content with the visual. The next requisite for the effective implementation of images within a proposal is the use of action captions for all images. Action captions explain concisely what is being displayed, and the “action” part gives direction to the reader. Another key concept in the use of images is choosing an appropriate size for the visual. If your visual has lots of small details, it will need to take up more real estate on the page. Using a complex image in a small form factor can be very negative and will discourage the reader from understanding what the image is intended to convey. The judicious use of images within your proposals helps you break the monotony of endless paragraphs, and, in doing so, retain the attention of your valued reader. No professional proposal is complete without visual content, and your readers (as well as competitors) understand this to be factual. The challenge becomes making better use of imagery in your proposals than your competition does. With the aid of your creativity, you’re sure to start receiving more winning bids with well-implemented images in your proposals. Are you using images in your proposals effectively?